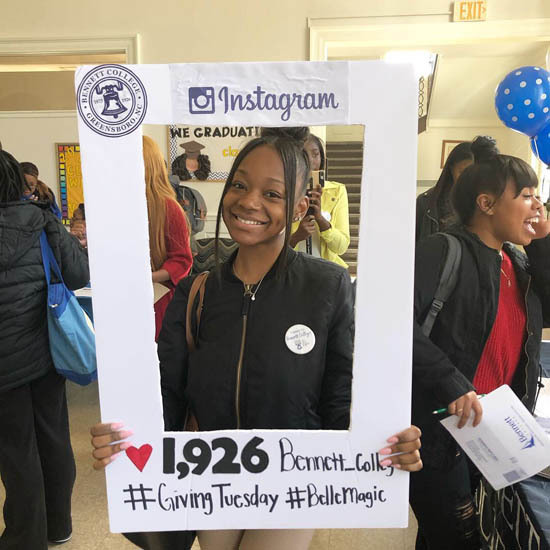 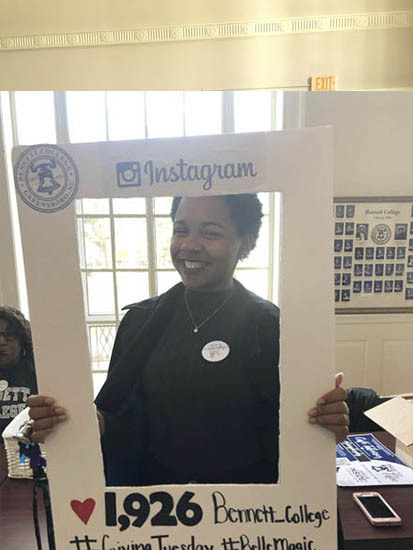 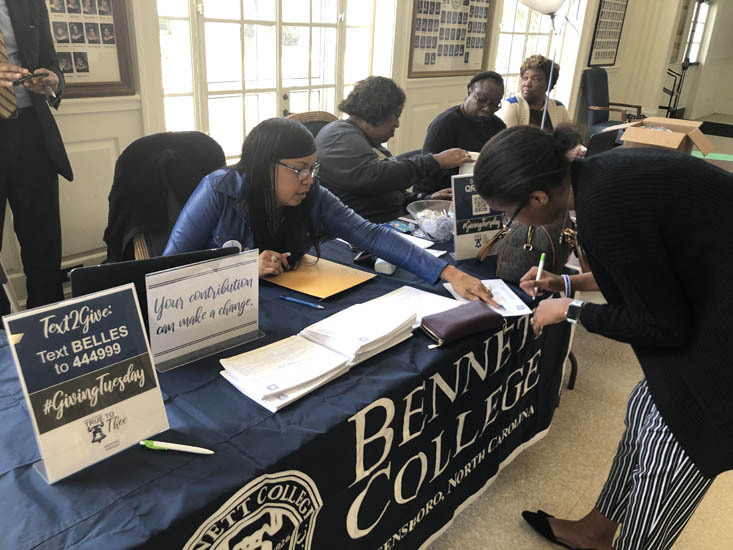 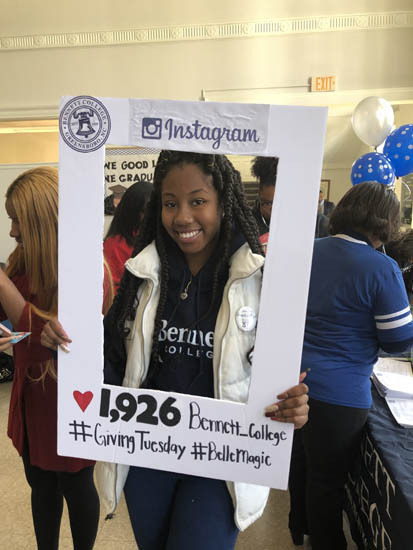 It’s been a week since Bennett College raised $55,618 on Giving Tuesday, and the gifts keep rolling in. 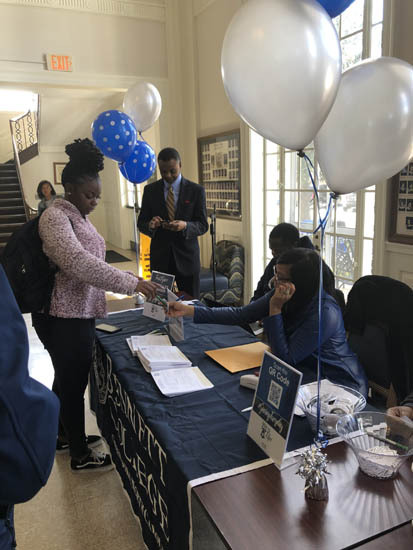 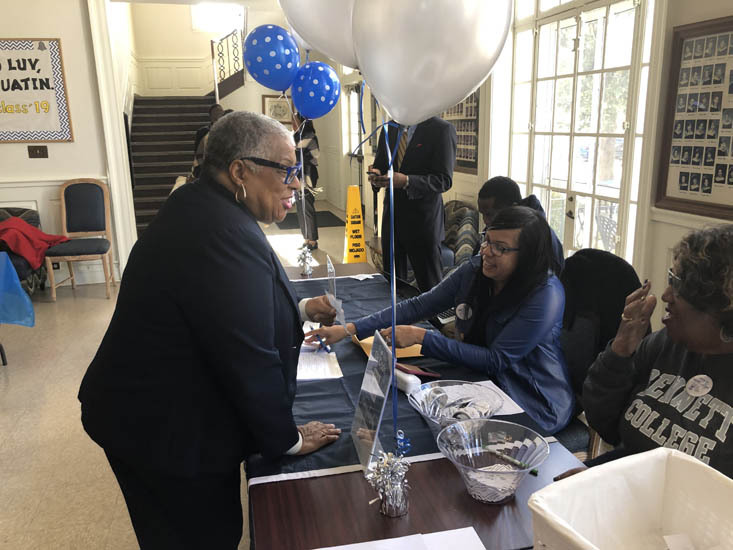 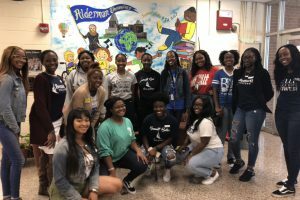 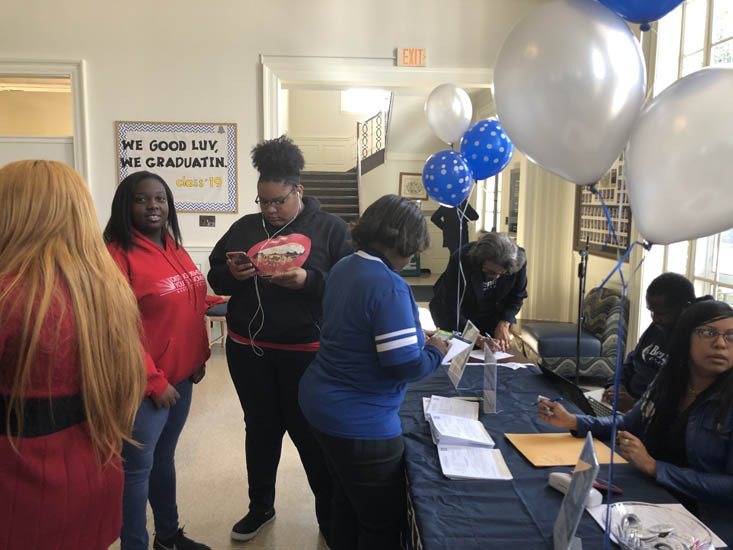 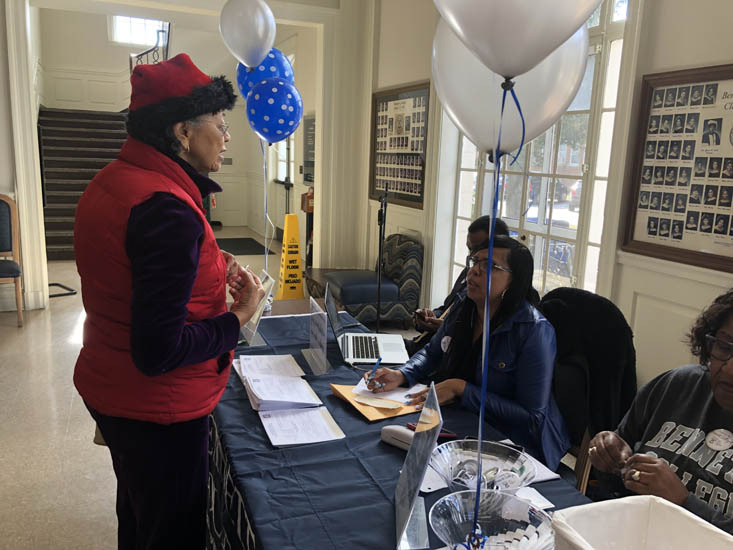 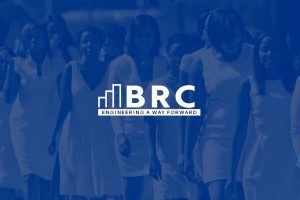 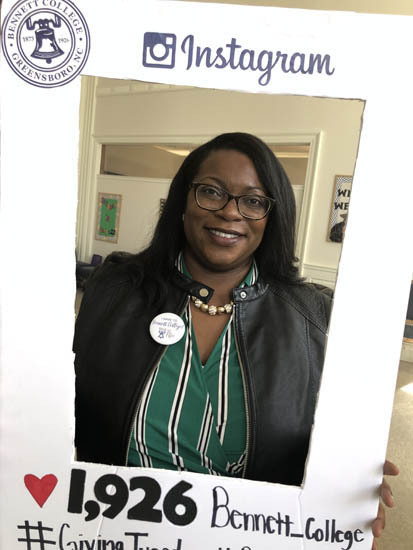 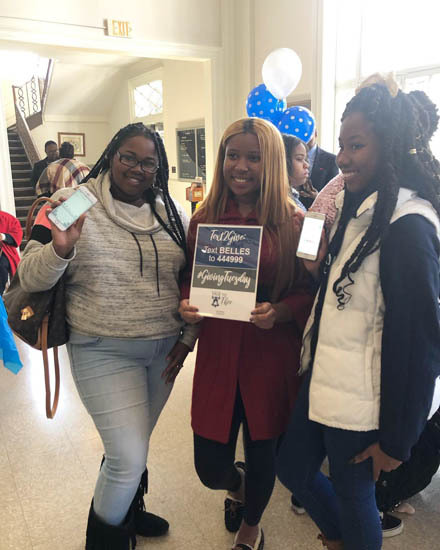 Audrey Franklin, executive director of alumnae relations, Shaakira Jones, technology and digital engagement specialist, and Melissa Watson, a residence hall director at the University of Memphis, spearheaded the College’s Giving Tuesday efforts. 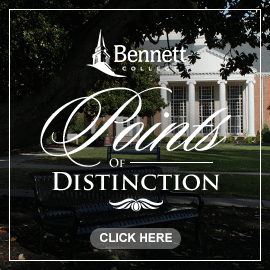 All three women are Bennett graduates. 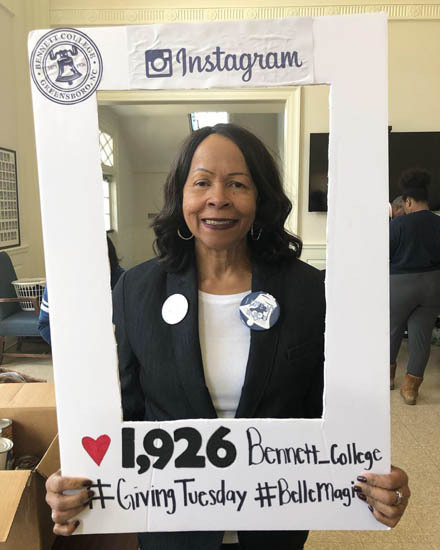 Patricia Woodard, executive assistant to the President, was among the staff members who contributed to Bennett on Nov. 27. 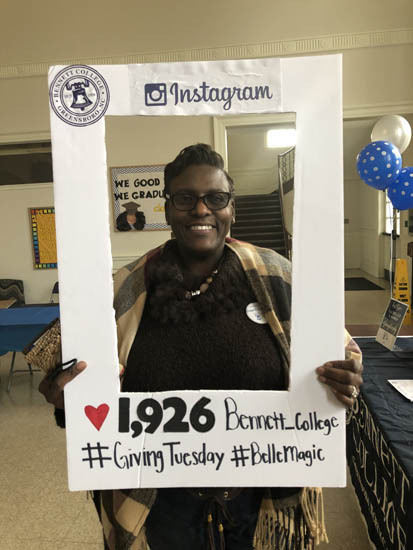 Woodard was one of many Giving Tuesday donors who won a door prize. 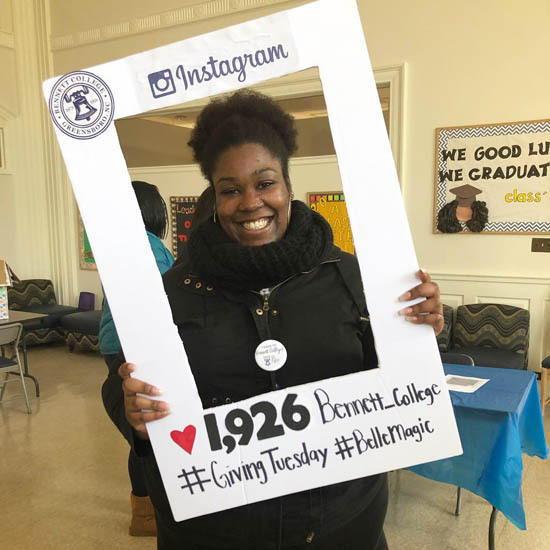 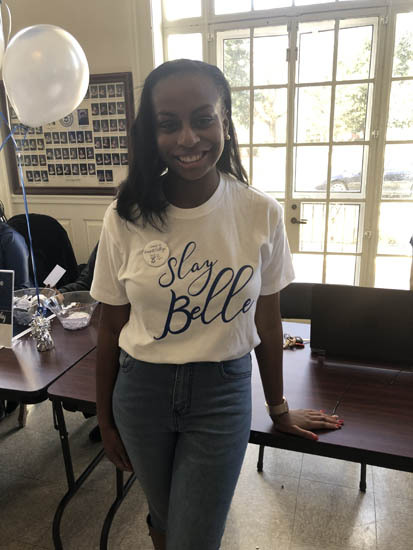 After receiving her gift card, she promptly walked over to an unsuspecting student in the Sallie Walker Brown Dining Hall and blessed her with it. 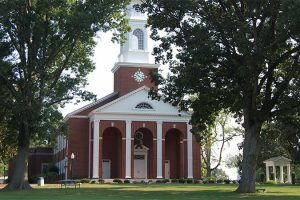 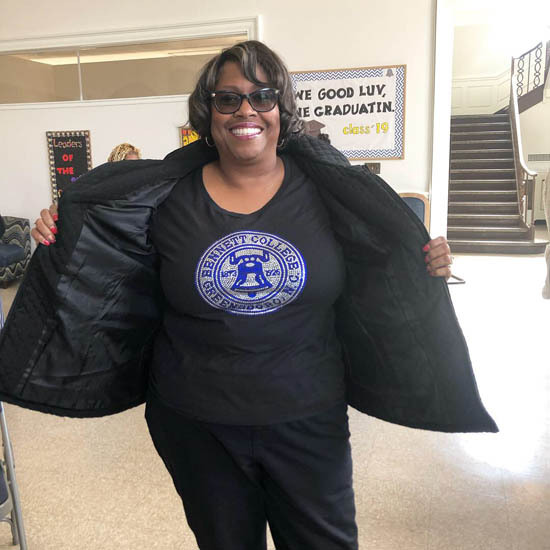 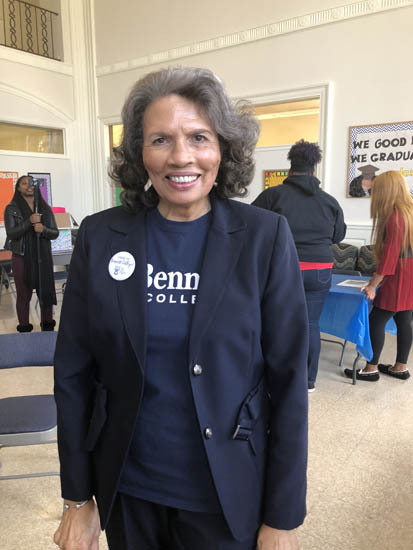 Bennett graduate Deborah Love is a former President of the College’s National Alumnae Association, a former member of the Board of Trustees and a member of the Class of 1979. 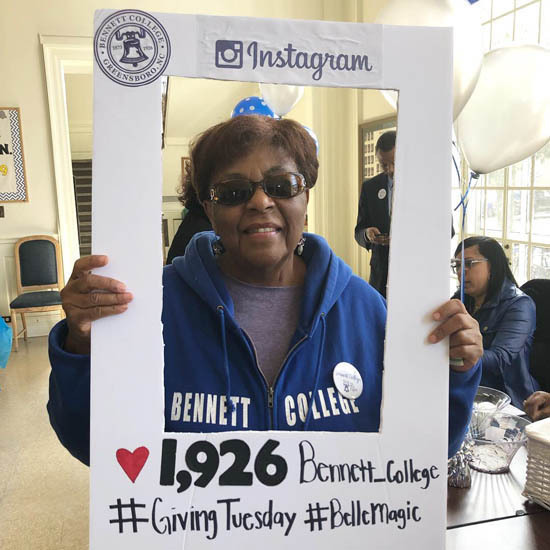 She said her class hopes to raise $40,000 for Bennett to commemorate their 40th anniversary next year. 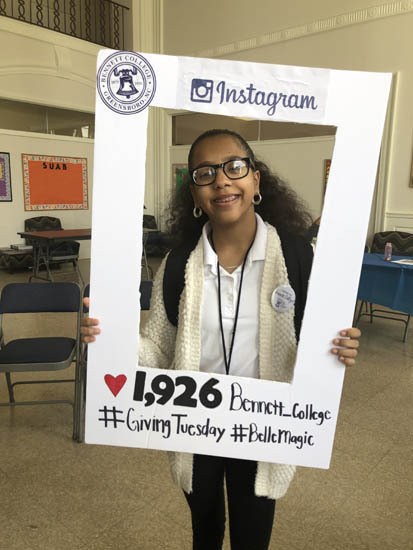 Moreover, she texted many members of her class and asked them to make their initial contribution toward that gift on Giving Tuesday. 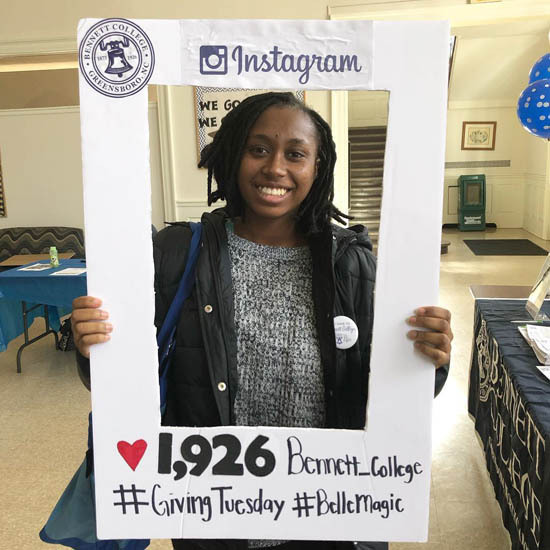 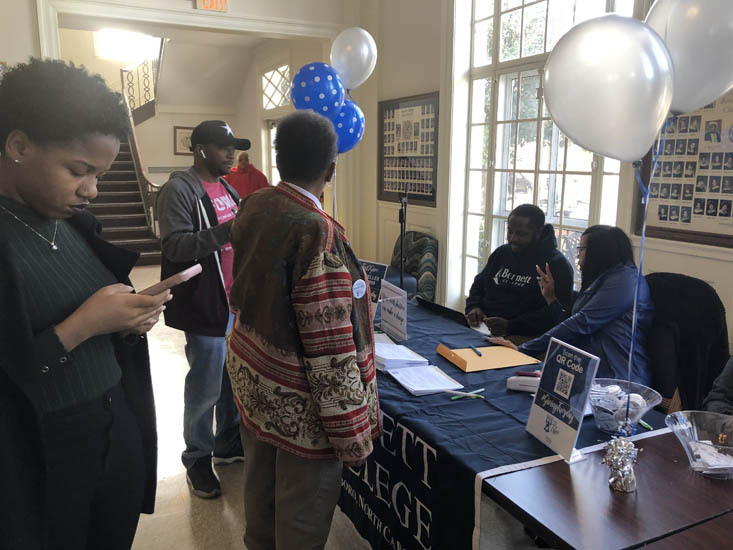 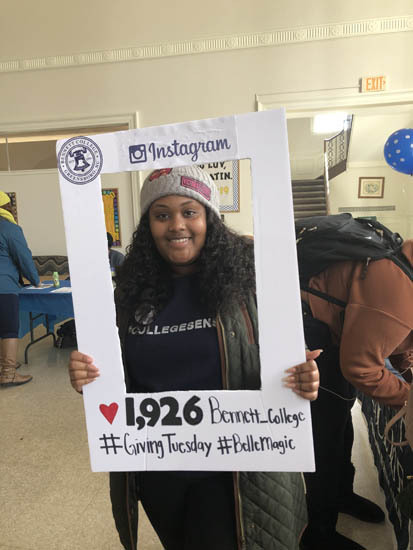 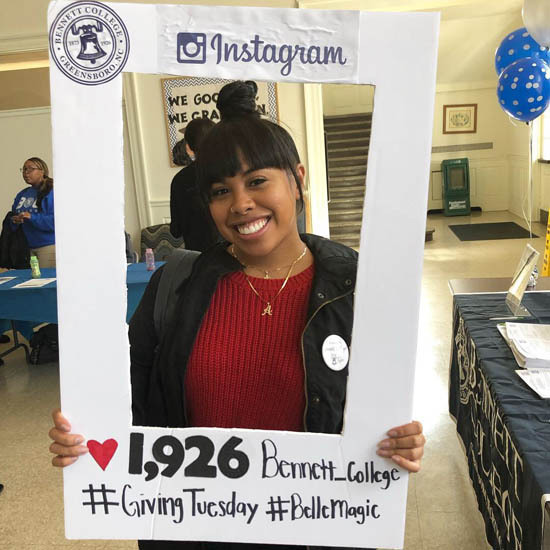 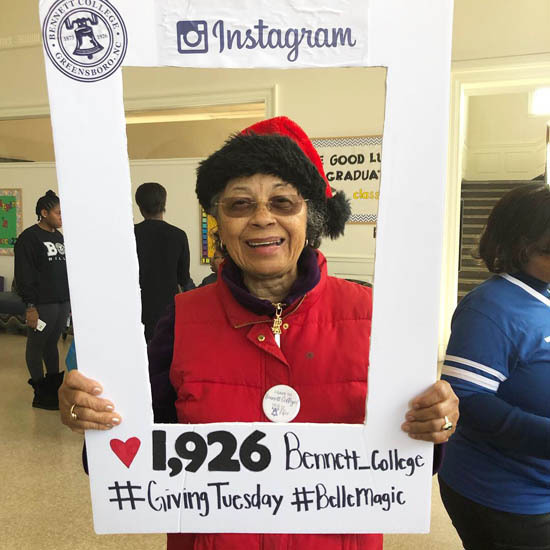 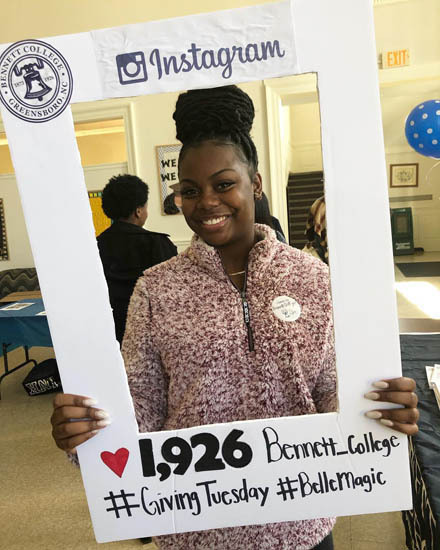 Bennett alumna Elizabeth Patterson White ’70 said she stopped by the College on Giving Tuesday because she wanted to be among the group of people working to ensure Bennett remains a beacon of hope for young women of color for generations and generations to come. 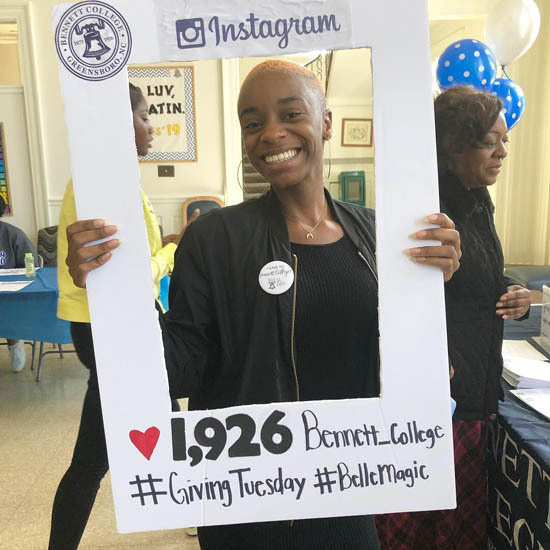 Evans said she thinks fundraisers like Giving Tuesday are good because the emphasis is on giving – not necessarily on the amount. 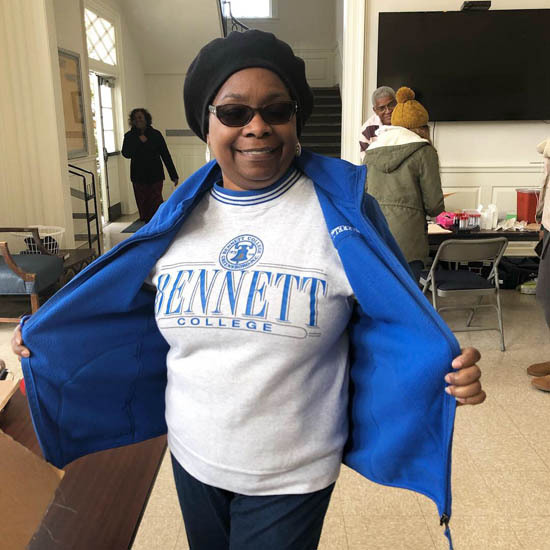 “It’s a good way to draw in smaller gifts from everybody, not just from the well-established,” she said. 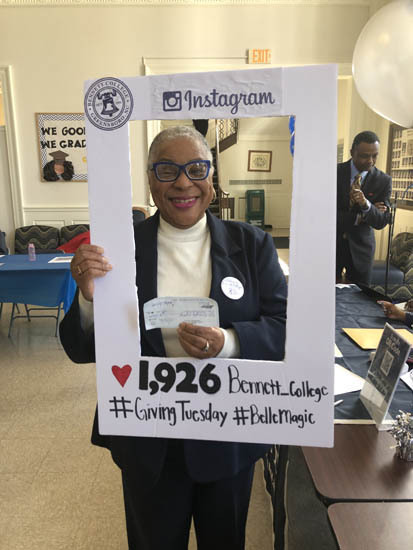 To give to Bennett College, please visit www.bennett.edu and click on Donate Now, utilize the College’s text to give method by texting Belles to 444999 and following the instructions, drop by the College with your donation or mail a check to Bennett College’s Office of Institutional Advancement, 900 East Washington Street, Greensboro, N.C. 27401.